Program Coordinator – oN DuTy! 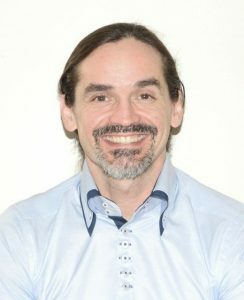 Clemente Ibarra is a professional researcher in the Computer Vision and Systems Laboratory of Université Laval. He has contributed to several publications in the field of infrared vision. His research interests are in signal processing and image analysis for the nondestructive characterization of materials by active thermography, as well as near and short-wave infrared reflectography/transmittography imaging.